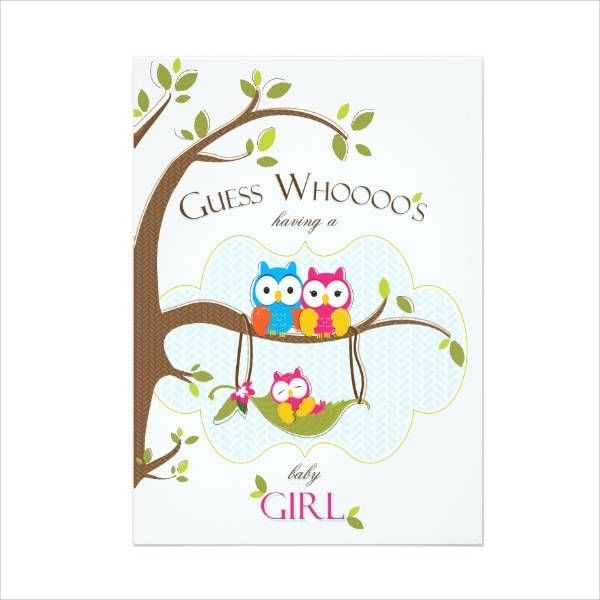 So you have a baby on the way, and we all know babies causing quite a stir among those in your immediate circle. 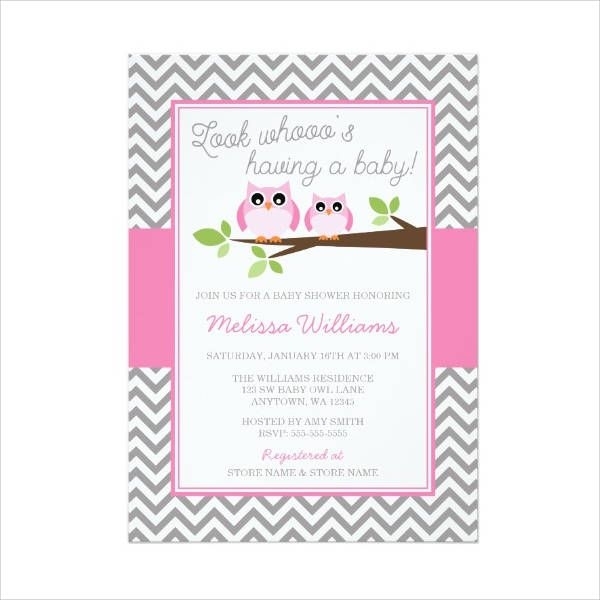 Next thing you’re thinking about is the baby shower or gender reveal party. Planning gets quite stressful, and we can’t have that. So to get at least one thing off your plate, you might wanna check out these Free Invitations. 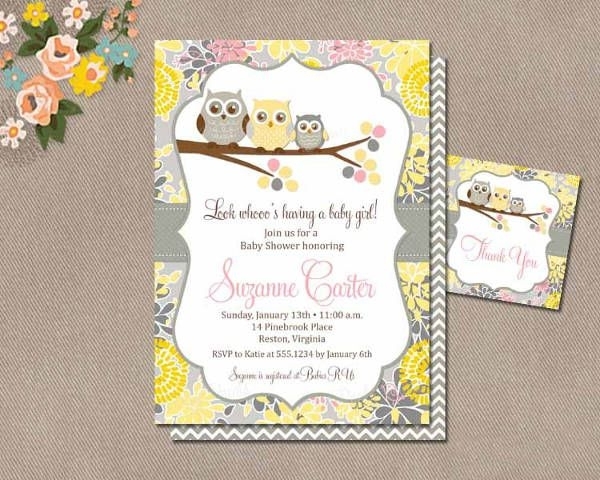 Our collection of 9+ owl baby shower invitations come in customizable, editable InDesign INDD, AI Illustrator, and other formats for you to download and make your adjustments no worries! So stick around for a bit to check them out. When you think about it, life is truly quite short. Once you realize that, it kinda puts things in perspective. Celebrate every milestone while you can! Especially when it’s something as special as bringing in another human, welcoming a new life—and not just any other human but a perfect tiny combination of you and your spouse. 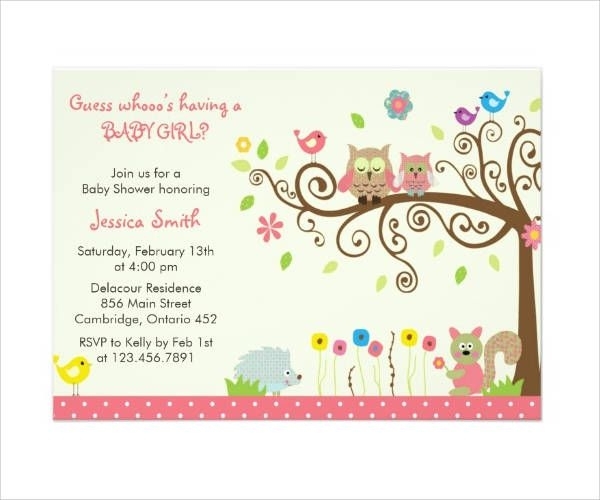 With these Free Baby Shower Invitations, you can mark such a special event. 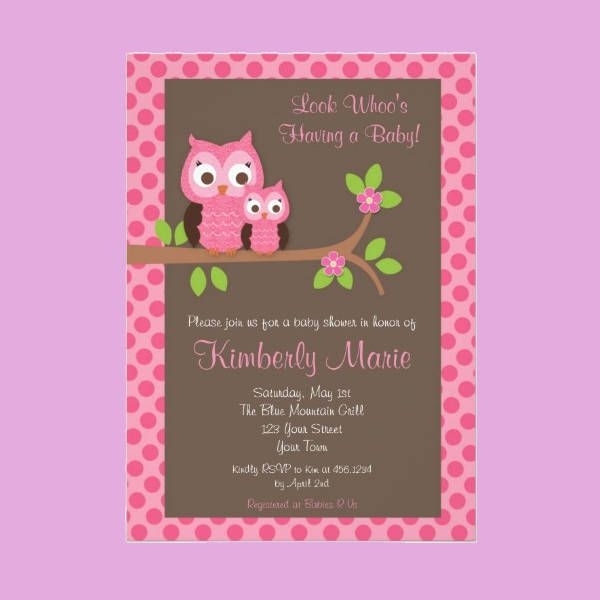 To top that off, these owl baby shower invitations also come in a variety of designs for you to choose from. You can’t really go wrong with the cheesy route when it comes to party invites. 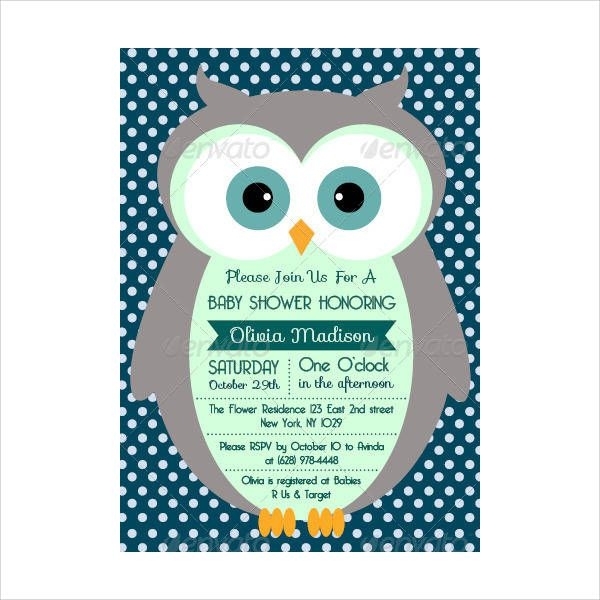 Litter an owl pun or two, like in “Owl Family Baby Girl Shower Invitation” and “Owl Baby Boy Shower Invitation,” and you’re good! 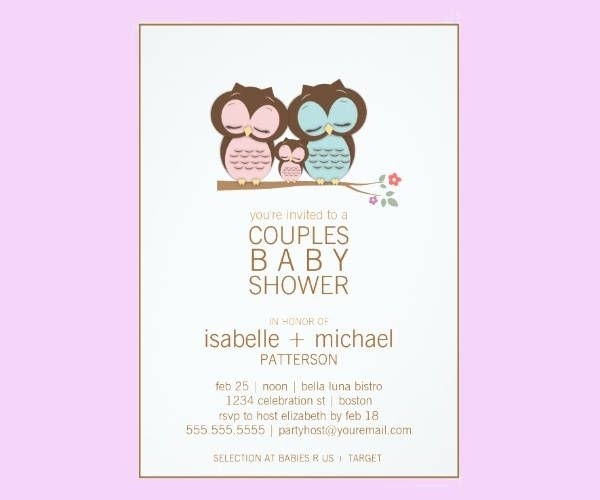 With “Owl Family Baby Shower Invitation” and “Simple Owl Baby Shower Invitation,” the owl has his own spotlight, which ain’t too bad. 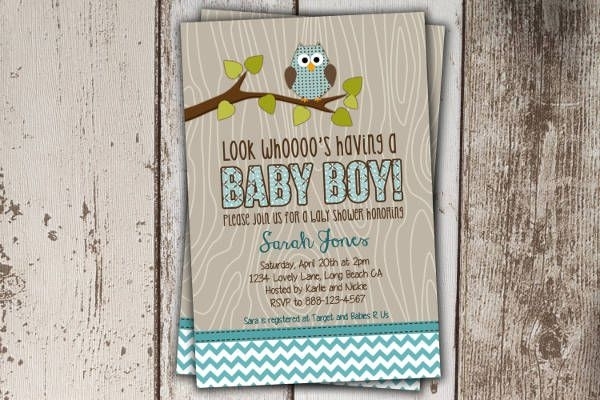 Now that you see all that you have to consider and work with, here are a few suggestions on how you can up the ante with these owl Baby Shower Printables. Since your little bundle of joy hasn’t had a photo op (sans the placenta) yet, you could use any one of your several copies of the sonogram. It gives your owl invitation that special touch. And we all know how sonograms make people emotional. The tears are a pretty good bonus because that means that they’re attached and will definitely show up at the party with some stellar baby presents! Muhahaha! Add some satin ribbons or tiny baubles that your guests can keep as bracelet charms. These will definitely add some pizzazz! List of options, done. List of suggestions, done. All that’s left is for you to check out the links and download!